Obidos and Ericeira » Lisbon stories - belong to the city! 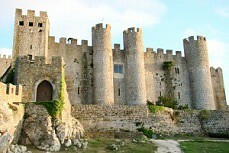 Did you know that “Obidos” means “fortified city” in Latin? The name speaks for itself. Famous for the narrow streets with whitewashed walls, colorful bougainvillea spilling over from the balconies and the endless handicraft shops, Obidos has always retained its authenticity over time. 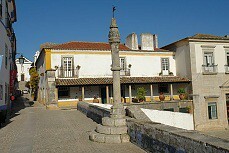 Once you get tire of “Kings and Queens” we’ll follow to Ericeira, a quaint fisherman town. While Ericeira claims to be the birthplace of surfing in Portugal, fishing still is the primary economic activity. From this cliff we can see fishing boats and tools, as well as the small white washed houses. Feeling hungry? Delight yourself with the catch of the day. After lunch, discover a miniature town created exclusively by the hands of a local potterman, depicting the regional culture. Visit the church of Mafra’s monastery, a gem of the Portuguese architecture. Sculpted in Portuguese white and pink marble, it boasts over 4500 doors and windows. If you happened to read the romance “Baltasar and Blimunda” by Jose Saramago, you will want to visit the interior as well. 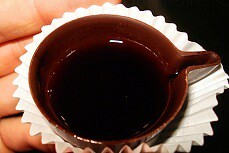 To finish the day we can visit a winery and do a wine tasting – optional. 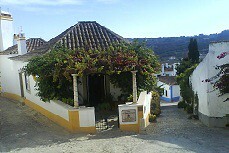 Relax and enjoy your day in the country and experience what the “real” Portugal is all about. 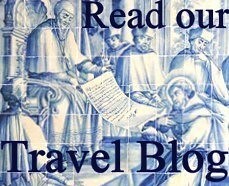 - Entrance fee to Mafra monastery, in case you decide to visit it. 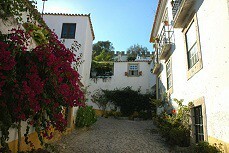 There is no dress code but it’s advisable wear comfortable shoes in order to manage the cobblestones in Obidos. In the summer a hat and sun lotion can be handy too.